Are You Ready? A Parent’s Guide to Starting Kindergarten. Starting kindergarten is an exciting adventure for kids and their families. It is a new beginning for learning and for developing friendships, confidence, and independence. 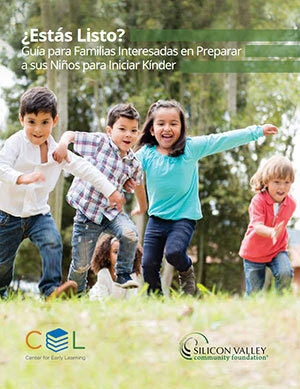 However, it is normal for children and parents to have questions, and even to feel anxious about starting kindergarten. The information on this page can answer some of your questions and help you learn what you and your child can expect. For a Medi-Cal/Denti-Cal dentist, call San Mateo County Health, Family Health Services at (650) 573-2501 or (888) 840-0889 or find information online at http://www.smchealth.org/dentalcare. If you do not have health insurance call the Health Coverage Unit at (650) 616-2002 for assistance. The American Academy of Pediatrics recommends well-child visits/screenings, and immunizations at various times during your child’s life to prevent diseases/infections that can be avoided just by getting immunized. Also as important is a chance to monitor your child’s well-being physically and emotionally. Well-child exams are a great opportunity for you to ask your Pediatric provider questions about your child’s development as well as for the provider to make sure your child is developing normally. Every child can be unique in the timing of their development. The American Academy of Pediatrics has a detailed summary on their Bright Futures page: brightfutures.aap.org.